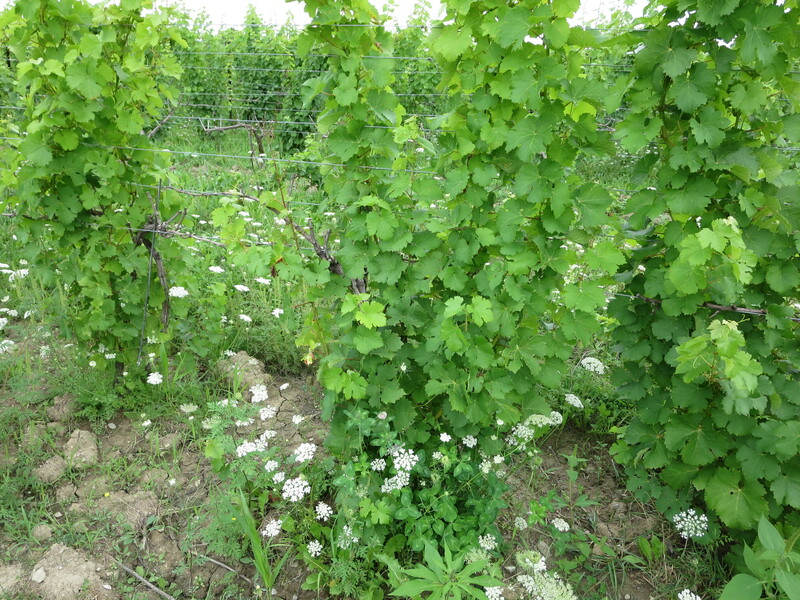 The Non-Harvest of 2014 for Wineries in Lake Erie/Pelee Island Region … seeing is believing! Just back from a couple of days visiting wineries in the Lake Erie/Pelee Island Region and I’ve got to say — seeing is believing. Back at the end of February Tom O’Brien of Cooper’s Hawk Vineyards was the first person to mention to me that it looked like there might not be a 2014 vintage for wineries in that region. Though I didn’t think Tom was an alarmist, I took the comment with a grain of salt and started asking other Ontario winery owners what they thought the potential impact the exceptionally harsh winter might have on this years’ grapes. Most winemakers and winery owners I talked to admitted that they thought there would be some damage, but they wanted to take a wait-and-see attitude. I know that in Niagara, some vineyard owners did some testing of the buds in early spring to get an idea about the percentage of dead buds they might have and some modified their pruning to compensate. The wineries of Prince Edward County bury their vines, so they were not concerned about the harshness of the winter at all. In the Lake Erie/Pelee Island area, however, Tom’s prediction about there not being a 2014 vintage has come true. Driving around that region last week things looked normal — from a distance. The rows of vines look lush and green — but many of them looked almost wild, there were so many leaves. 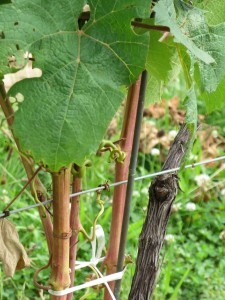 Normally vineyard owners neatly trim the canopy to ensure the right balance of sun and shade on the grapes. Canopy management this year sure looked different. And, given that it was the third week of August in what is the warmest wine region in Canada, you expected to find rows netted to protect the grapes from the hungry birds. (Nearly every row at Colchester Ridge Estate Winery (CREW) was netted by this time last year.) This year there was no need for netting. Mind you, the winery owners and winemakers I spoke with in the region seem to have taken the loss in stride. After all, they know better than anyone that winemaking is farming — and farmers are at the mercy of Mother Nature. Many also noted that the up side is that they still have lots of wines from previous years available and so when visitors stop in to taste and buy, they aren’t disappointed. Some also said they’d be headed to Niagara to see about buying some grapes, so they may have some 2014 wines available — they just won’t be from grapes from that region. 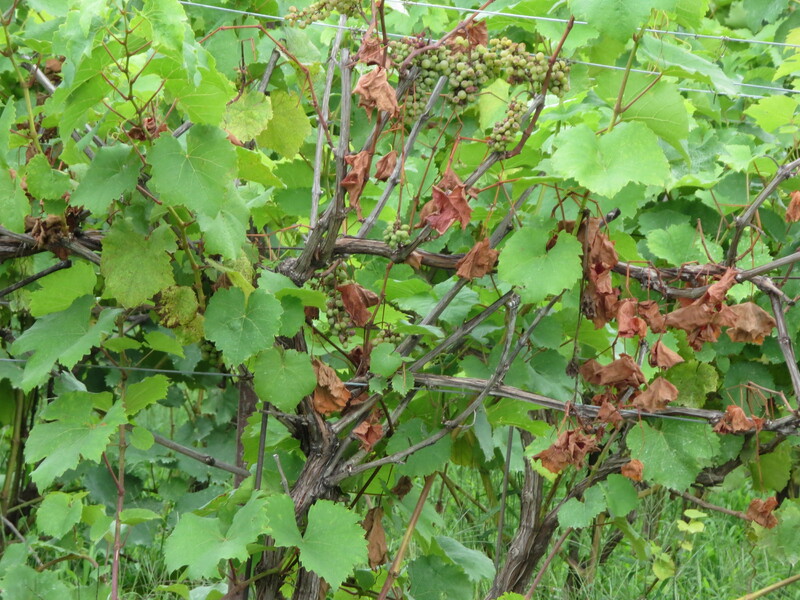 Bookmark this article The Non-Harvest of 2014 for Wineries in Lake Erie/Pelee Island Region … seeing is believing!